ultimate "loyalty card" - diamonds, gold and marriage certificate - can't return outcomes much beyond a 50/50 bet, what chance have retail marketers on securing undying commitment through bits of plastic and smart analytics? RBS Visa Bank Card; Virgin Atlantic Visa Credit Card; American Express Platinum Credit Card; American Express Platinum Charge Card; Lloyds American Express Avios Card; Nedbank Visa Card; Marriott Hotel Rewards Card; Priority Pass; Virgin Atlantic Gold Card; Tesco Clubcard; Costa Coffee Club; Cafe Nero Thingy; Nectar Card; SPG Card & British Actors Equity Card. Each one of these is a de facto "loyalty card". 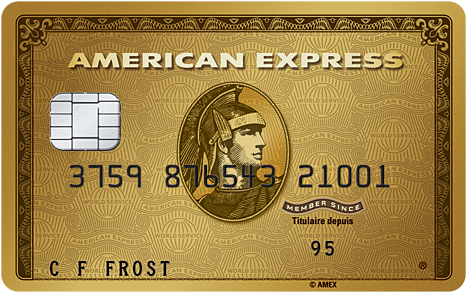 My American Express charge card is my preferred travel booking partner because it provides free insurance. Preferred but not exclusive. The Costa and Nero's coffee cards say I like Americano's and don't care too much for Starbucks. The array of hotel and airline related cards remind me I travel too much, stay in too many hotels and never really worked out how any of these schemes work. And anyway, if I need a cheap rate, there is always laterooms.com. The Tesco and Sainsburys cards remind me I shop at both though increasingly at the Waitrose and Aldi because I just can't stand the faff of a superstore any more. These cards represent my portfolio of historic choices to date. They say little about loyalty; are no certain guide to my future decisions and have nothing to say about relationships. The only card I have any emotional connection to is my Equity card (because I earned it) and I haven't used this beyond a talking point in thirty years. In any case, I don't want a relationship with shops or service providers. I just expect them to do what they promise, and do it really well. If Amex cease offering free travel insurance, I will cease using Amex. If they offer insurance but their claims processes are a nightmare, forget it. If Tesco stop offering Clubcard points, the Clubcard becomes irrelevant. More to the point, if Tesco, Sainsbury, Waitrose etc can't provide the products I want, when I want them, how I want them, at acceptable prices...who needs them? It's not like they are the only shops in town. Brands build loyalty to the devices they use to build loyalty. If you predicate your attraction on gimmickry, god help you when your bells and whistles prove unaffordable or someone else offers more. And please don't take me for granted and offer more value to new customers. I don't think I am unique in being really irritated when banks offer preferential mortgages to new customers. Hang on, I have been banking with you for years, what about me? Over-marketing is as irksome as complacency. Just because I bought an expensive gift once in your store doesn't mean I am now interested in anything else you do. If you bombard me with offers, chances are I'll simply ignore you. After all, if you are trying this hard perhaps I should rethink our "relationship". It's like Groucho Marx said "I don't want to be a member of a club that wants me as a member"
Loyalty cards, schmoyalty cards! They provide customers with delayed value gratification. I don't drink more coffee with Costa because I carry their card. But hey, if they are going to give me one free drink in ten, just for carrying the plastic, why wouldn't I? In my search for value, I shop around. Get over it. Be happy you are in my decision set. Keep your promises; keep impressing me; don't try too hard and don't give me reasons to rule you out. Just because I carry your card doesn't mean we are married. Hell, even if we were, you'd still have a 42% risk of losing me.